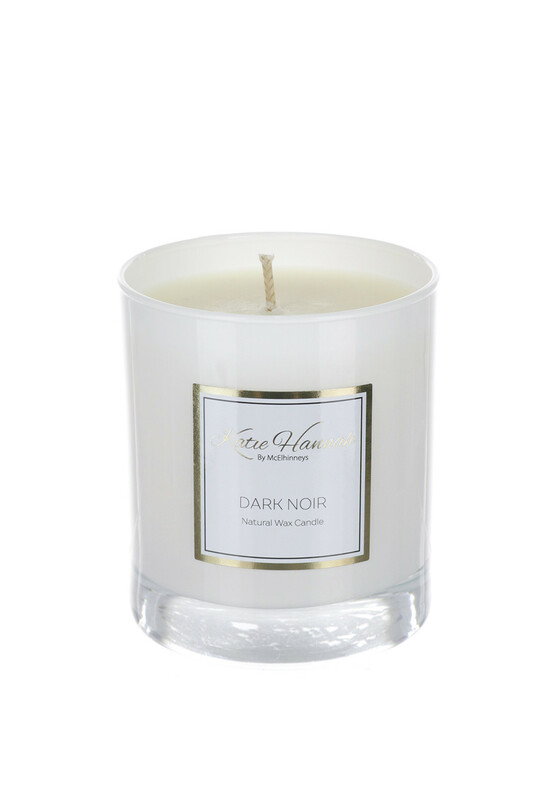 Stimulate your senses and create an aromatic environment in your home with this beautiful natural wax candle from Katie Hannah by McElhinneys in its dark noir fragrance. With an essence of amber, tuberose and violets that create a signature musk. The Katie Hannah By McElhinneys brand name is a dedication to the late mothers of store owners John and Eileen.